January 30, 2018 - by benign0 - 9 Comments. It’s been several weeks since the Philippines’ Securities and Exchange Commission (SEC) issued a shutter order to “social news network” Rappler for violation of constitutional provisions banning foreign control of media businesses in the country. Over that period, RapplerCEO Maria Ressa has campaigned vigorously to spin this compliance violation into one around an imagined issue of “press freedom”. In his Inquirer column yesterday, Oscar Franklin Tan pointed out the dishonesty in the public statements Rappler had been publishing about the case. Notable among these is the idea that the SEC move is the start of some sort of “assault on press freedom” being mounted by the government of Philippine President Rodrigo Duterte. According to Tan, this not consistent with the SEC position which is very clear on the specific items in regulation surrounding the issuance of the types of funding agreements in question. The SEC report points out that clauses that extend “veto rights” are provided in Rappler‘s agreement with its foreign funder Omidyar Network. These rights are not found in similar instruments issued by ABS-CBN and GMA to their respective investors. Indeed, the SEC order does not, in any way, present a future threat to any other news media network. This is all about Rappler‘s violation of the Constitution. 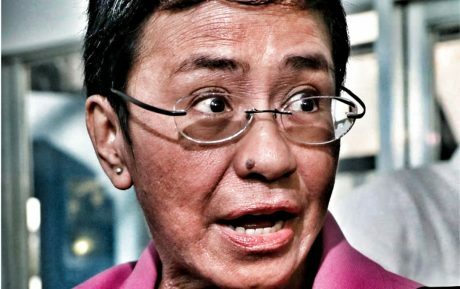 And the threat to “press freedom” is all in the minds of Ressa and her Rapplerettes. If there is any actual threat to “free speech”, it can be found in how Rappler goes about reporting about its own predicament. Rather than highlight the true facts surrounding its case which all point not just to Ressa’s negligence as CEO but to a seemingly deliberate effort mounted by her company to circumvent corporate regulation, Rappler‘s reporters put up mere strawmen. Ressa and her henchwomen are actually the ones abusing their freedom by baldly misleading the public. Tan puts it quite succinctly: “Free speech cannot justify Rappler’s misleading coverage of Rappler”. Ressa should heed the words of the venerable Oprah Winfrey: Time is up. So is the jig. Rappler is all but exposed as a non-viable business venture and, worse, a channel out of which dishonest journalism is served to an unwitting Filipino public. if followers of a certain blogger agrees to what he (the blogger) says, that means his followers sees what the blogger says. Maria Reesa continues to fight against the foreign media ownership law, placed there on the Cory Aquino 1986 constitution. It is a futile fight, SEC had already decided. Close your mouth, Ms. Reesa, and abide by the ruling. Politics on the streets, will not overturn the SEC ruling. Bad mouthing the SEC, will not overturn the SEC decision. Fold up your Rappler.com, and shut your mouth. Truer than truth? That sounded like something liars made up to tell people who found them out. This is the first lie I’ve ever seen you write Benigno, but I don’t read much here. It is definitely an attack on Press Freedom. Unless your Supreme Court is political, Rappler will prevail, if not on the control issue, for sure on the provision a cure should have been allowed. Disappointed that you toe the line and don’t have an independent voice. Ok. How exactly is this “attack” on “press freedom” being implemented by the Duterte administration? Cite examples please. And when was violating the law a form of press freedom, anyway? Man, you’re grasping on straws here. Rappler supporters are totally missing the point, along with your self-entitlement BS.